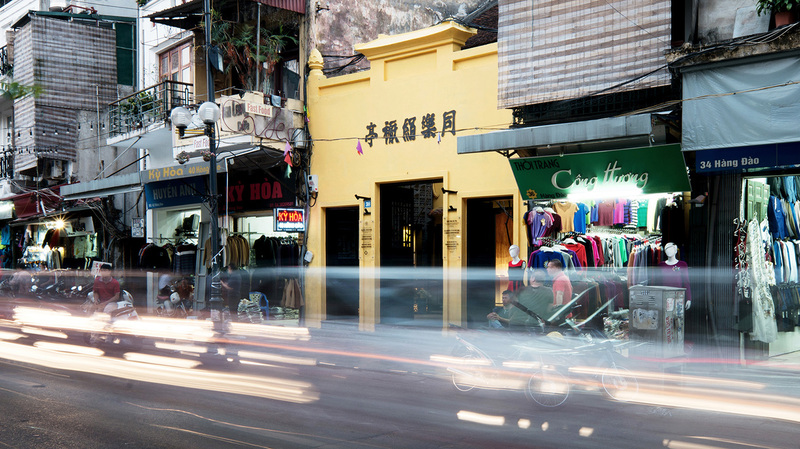 Deep in the heart of Hanoi, one of Asia’s densest historical cities, the Hanoia House flagship store has made its home. To be found in the middle of the heritage site known as “the 36 streets”, a row of traditional shophouses have been delicately renovated for the Vietnamese luxury design brand. The architecture of old shophouse typology has been treated respectfully, with regard to the width of the site and the exceptionally narrow width of the rear. Here G8A breathes new life into the space maximizing the full potential of the plot composed of five courtyards & three shophouses. 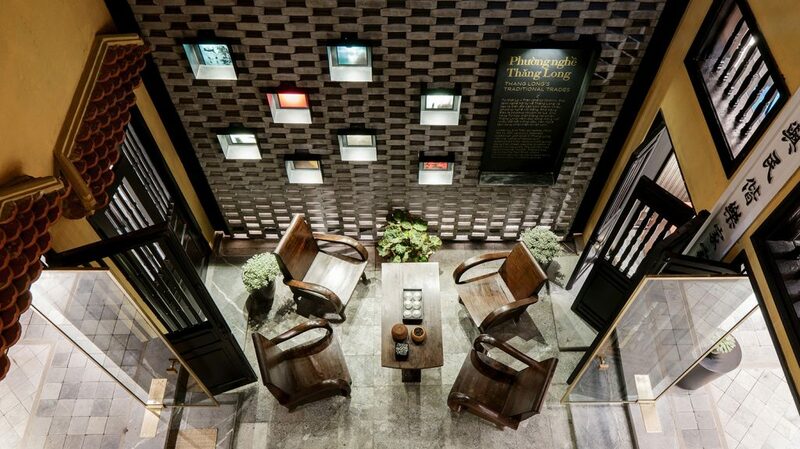 The structure is a witness to the building’s historical past, while the displayed lacquer products are a contemporary expression of a “new” Hanoi craftsmanship. Complimenting this theme, the brand also integrates techniques of traditional silk-work, an echo to the past life of the street, the historical epicenter of regional silk trade. The proposal leaves the extraordinary outer layer intact, whilst a new detached inner layer of continuous mashrabiya brick screens fill the interior. The design follows a flat material and color palette, bringing Hanoia’s traditional lacquer products to the forefront. With the Hanoia brand’s design philosophy melodiously integrating artisanal creativity to the traditional shophouse architecture. 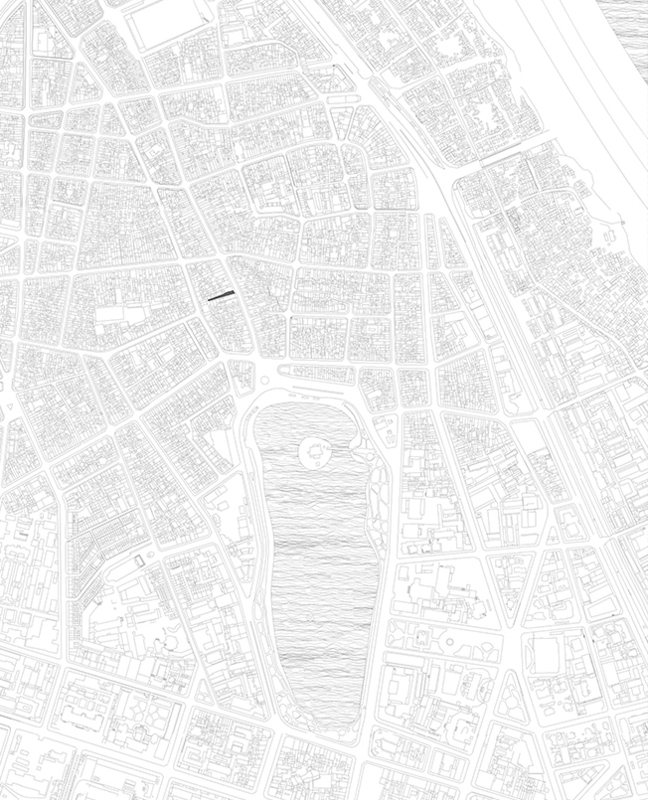 G8A proposes a beautiful narrative where the old and new occupy parallel space without overshadowing each other.